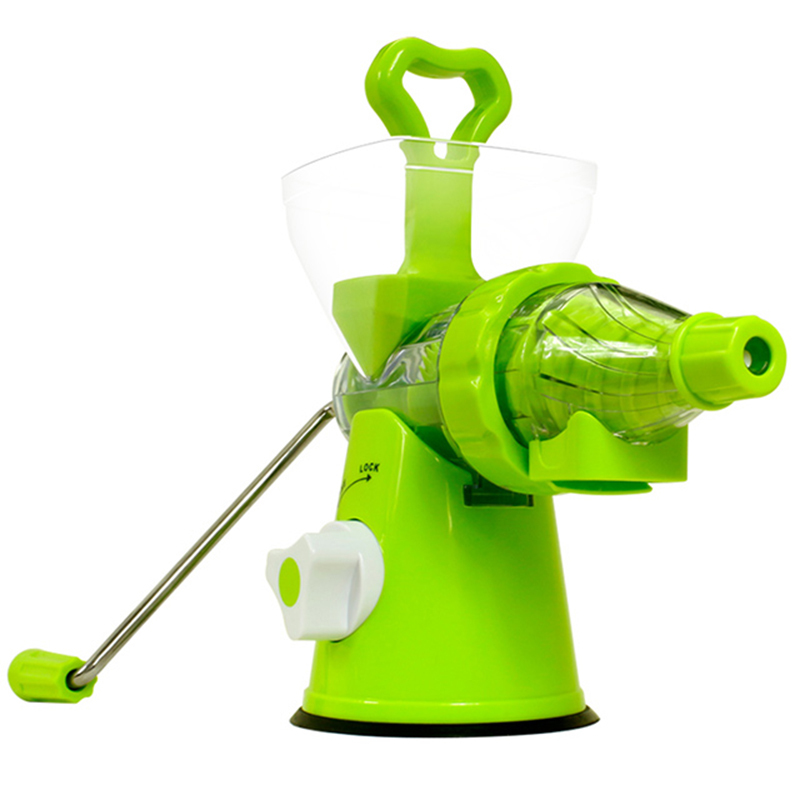 LUCOG Manual Hand Crank Juicer is ideal for fruit, vegetables, wheat grass, and more. 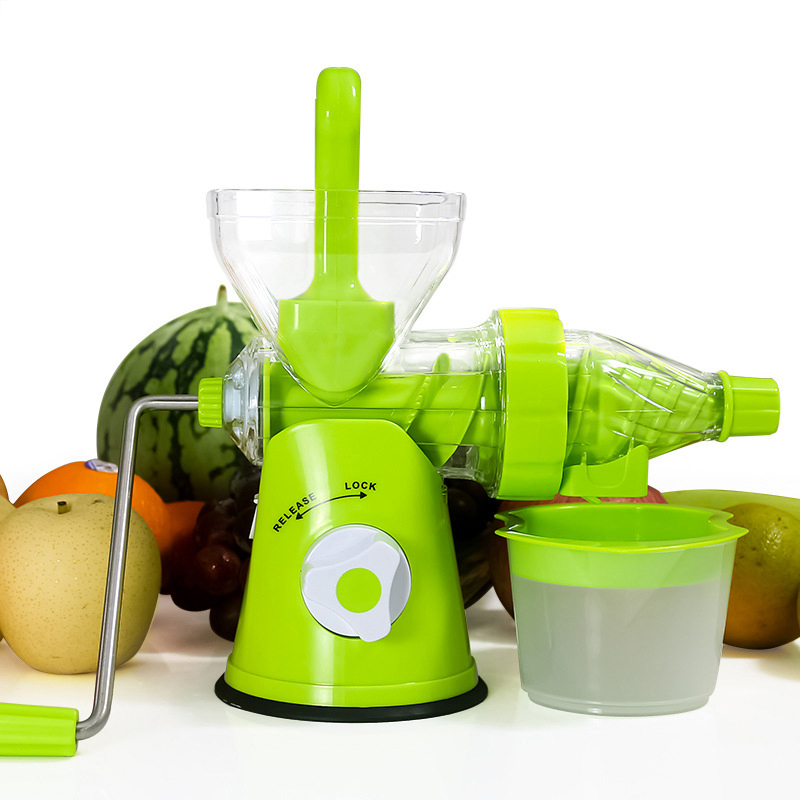 This sturdy and strong manual juicer is ideal for travel, camping, or for any time you want juice on the go without the need for electricity. 1.Please release the Lock(rotate the button anticlockwise)before removing the Feeder Tube out of the Suction Base. 2.Rotate the discharge tube anticlockwise to take out the screw extractor before cleaning,then reinsert it and other parts with clean water. 1.Keep it away from fire or high temperature, not suitable for the microwave oven. 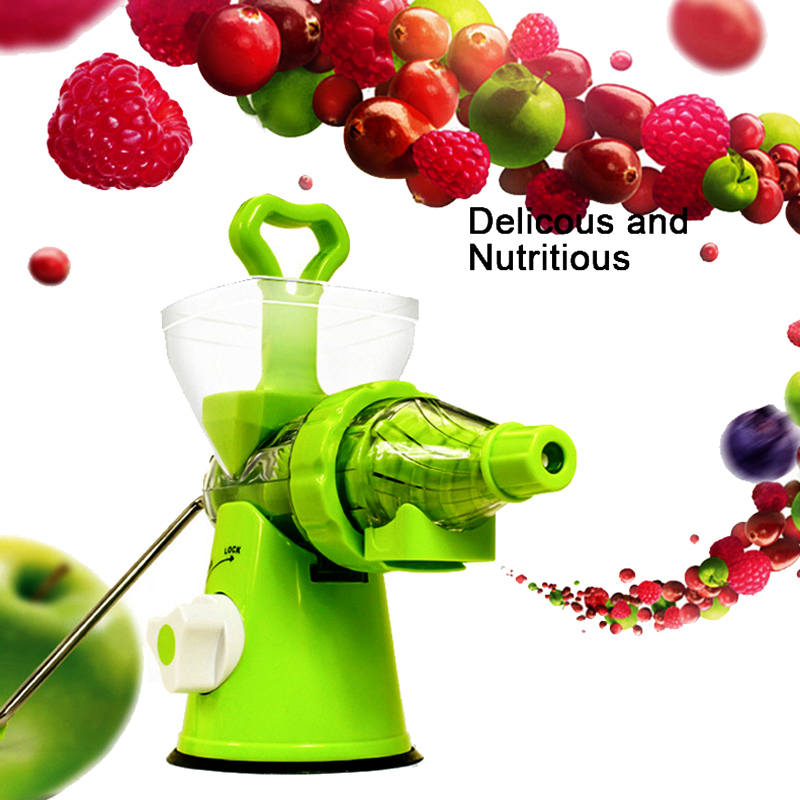 2.Please cut the food in proper size(about 1.5-2.5ich),and avoid the screw extractor immersed in water for long time.